Eco fashion freaks would go for anything that promises to greenify their appearance and manners. Meet Huckstraps, a sustainable, contemporary and vegan alternative to leather belt you’ve been using to keep your pants up thus far. The straps used to create Huckstraps are made from 100 percent recycled polycarbonate materials. The one-size-fits-all straps measuring a standard 145cm are available in over 144 combinations and 12 different colors. 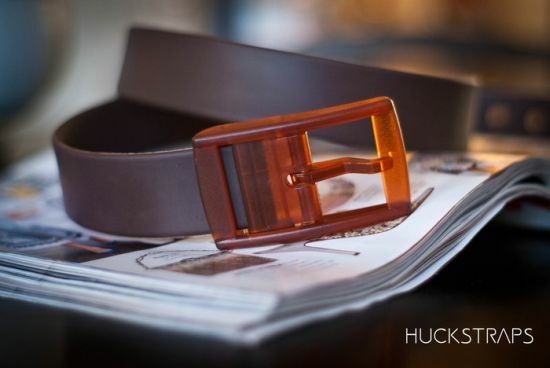 Just the perfect belt you will need just in time for Spring/Summer 2013, the Huckstraps is waterproof and extremely rugged. Rugged – even the initial half of the label, i.e. Huck, indicates the same. Huck refers to a large jump in extreme sports’ terminology, which undeniably involves risk or consequences. If you feel like grabbing one for you, what you simply need to do is make a pledge of $15 or more at the Huckstraps Kickstarter page.